Great bird dogs are not trained they are developed. It’s a process that starts with the fundamentals and is built on a process of praise and reward and pressure and release. Our trainers work to bring out the best in every dog and we maintain a high standard of performance for dogs completing the program. While most of the dogs in our care are sporting breeds we recognize that they are also companions and family pets when they are not in the field. Our number one priority is making sure dogs are safe and comfortable during their stay and provide a home away from home. Our staff is professionals at keeping bird dogs busy and exercised. 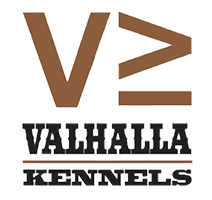 Call to schedule a tour and see what a day at Valhalla Kennels looks like. Don’t just board your dog! Take advantage of being at the ranch and add a training package to your dog’s next stay. We customize daily exercise for each dog. 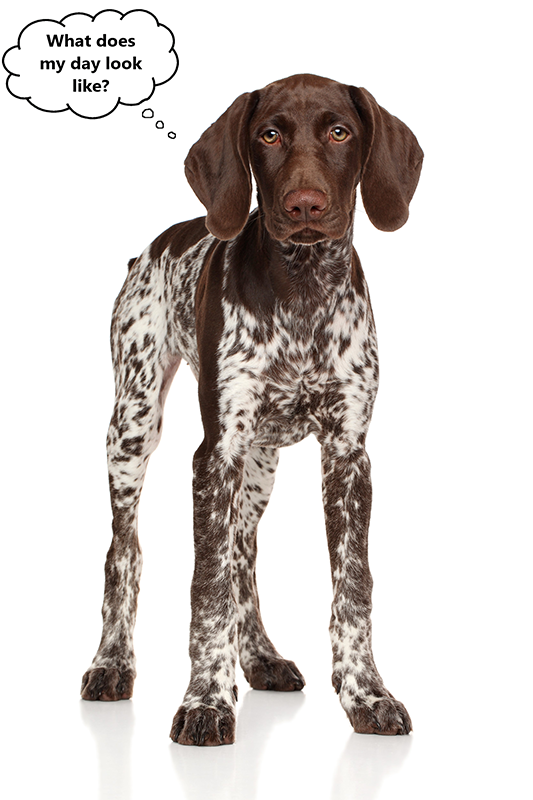 You set the budget and let us customize a package that matches the length of stay and your dog’s skill level. Over the past 20 years our breeding goals have not changed. Valhalla consistently produces dogs with unmatched natural ability, intelligence, trainability, and drive. 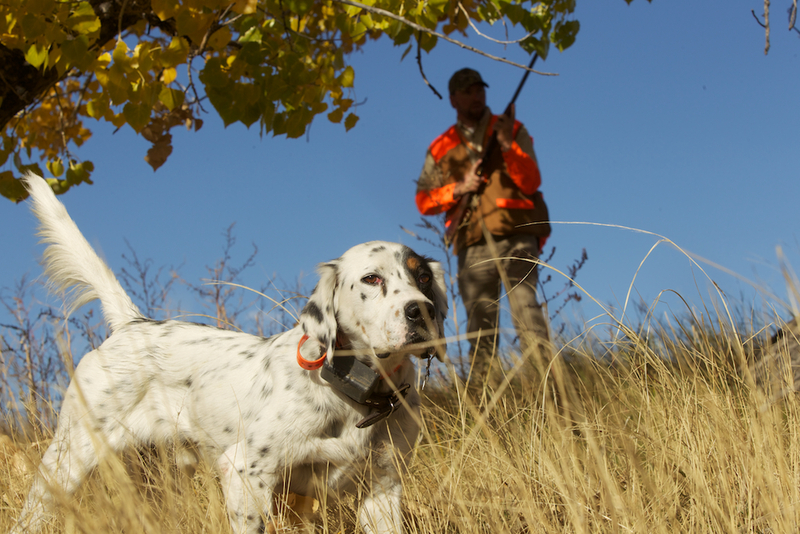 Our breeding selection focuses on delivering once in a life time hunting companions for the most discriminating hunters while still maintaining a calm temperament that makes our dogs the perfect family companion. Schedule a time to watch our dogs work or call for references. 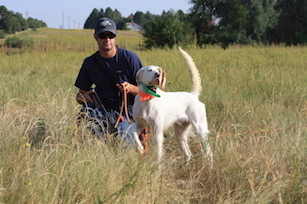 Valhalla Kennels offers a convenient place to train, hunt, and exercise your dog. Located on a wooded creek bottom the ranch offers almost 500 acres of prime upland bird habitat. Valhalla started as a family run cattle ranch in the 60’s. Over the decades it has evolved into a Hunt Club, boarding facility, and premier training facility. Our club is membership based but you don’t have to be a member to enjoy access to any of the training programs or the boarding kennel. Valhalla offers training options year round and our professional staff is available by appointment for private training sessions and evaluations. Our philosophy has always been to make our members and clients fill like they are part of the family and to offer an experience that makes your dog excited every time they hit the dirt road headed to ranch. 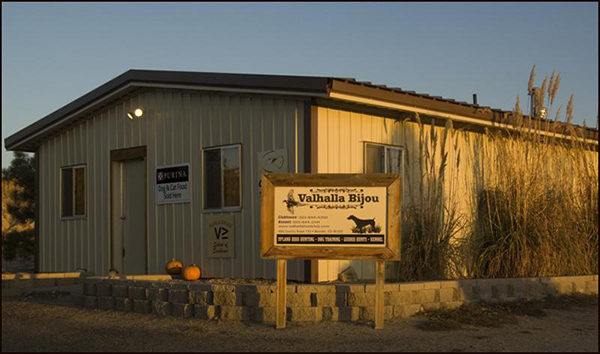 Come see why Valhalla is bird dog paradise…. Click to Book your Kennels Reservations Today! 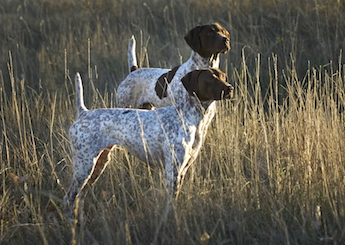 Reserve your spot in our Saturday morning Gun Dog School of Excellence training class. 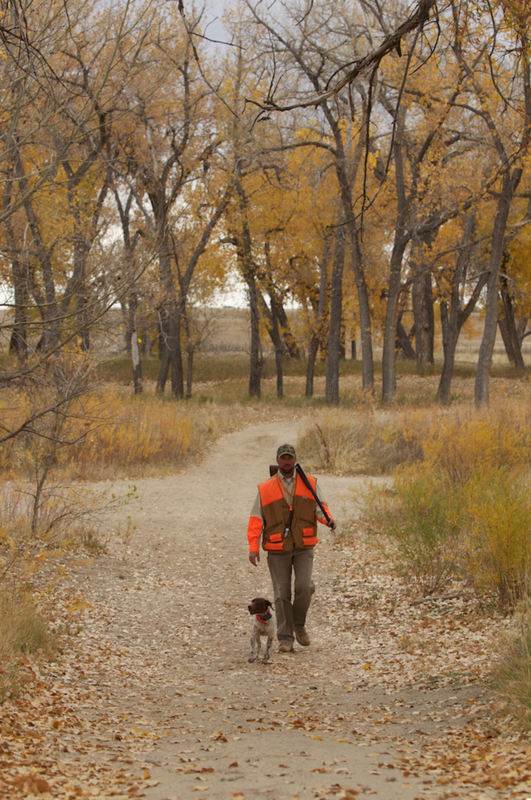 How we can help develop your bird dog? A few pointers for hunters introducing the sound of a gun to a new puppy. Thanks for training Otto my Britt. Jeff did a great job, he did exactly what I wanted from my dog Otto. He did a great job of getting him started and he worked with us twice to explain what he had done. He did not hurry us and he took all the time necessary to explain everything he did with Otto. All I can say is what a great dog trainer, he really knows what to do. I hope to bring Otto back again for just touch ups as needed, I am sure I will see you this Winter after Pheasant season in South Dakota. I would without hesitation would recommend your dog training to anyone, and I am very hard to please. He is an awesome trainer, and an awesome teacher, you folks will do very well keep up the great work. Thanks for all of your hard work and excellent training with Zeiss. He is a hunting machine and a pleasure to run in the field. I couldn’t be happier. That’s my boy Max. Hard working and happy. I can’t thank Jeff and you guys enough for helping me with my dogs. I wanted to reach out to you and thank you for all of your hard work with Tarzan. Our hunt yesterday went amazing. It was a dream come true for me. He listened to my commands, pointed, held steady to the flush, and retrieved. Tarzan has been great with the other dogs we have reintroduced him to at home, and nothing but a lovable lap dog inside the house, and is doing great in the kennel during the day. We go on our daily run in the field next to us. I really appreciate everything you have done with him.